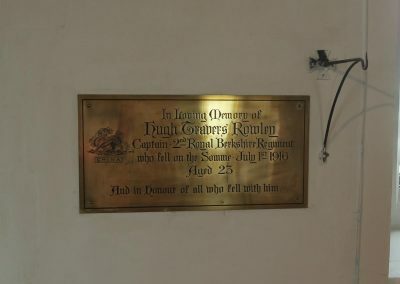 In Memory of 2/Lieut. M.A.P. 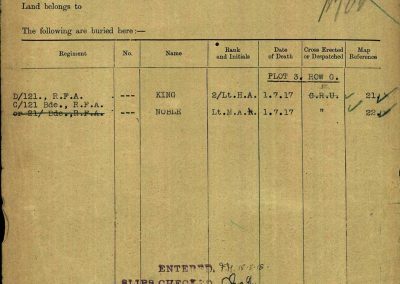 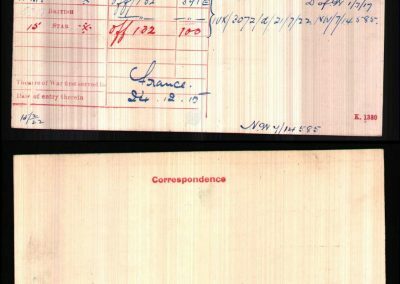 Noble 121st BDE RFA, Killed in Action 1st July 1917 R.I.P. 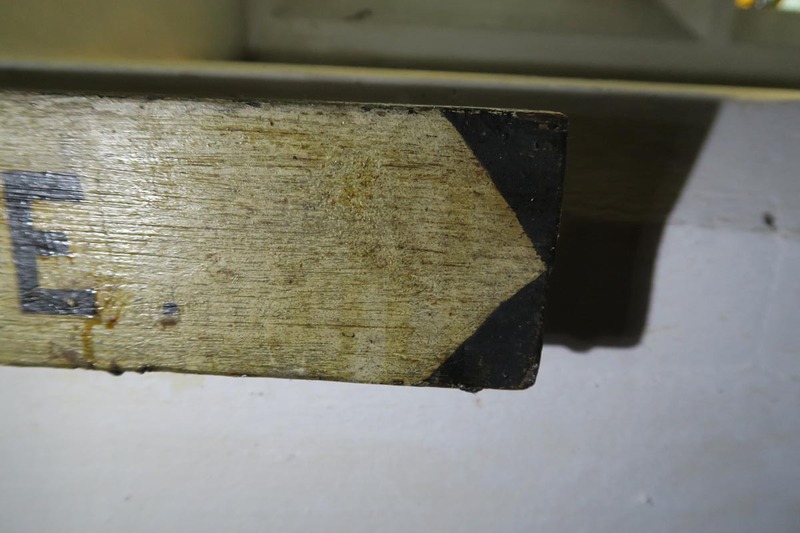 Condition (cracked, paint peeling, woodwork, damage etc): Fair. 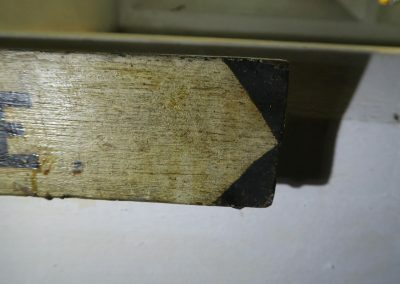 Some paint chipping and some sign of woodworm. 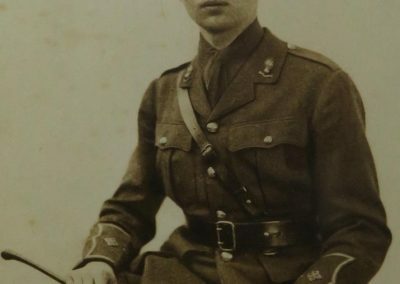 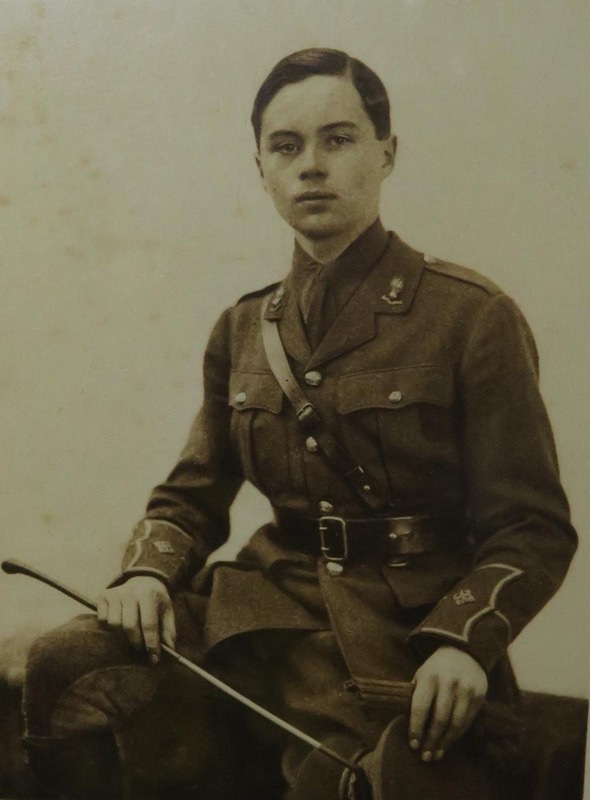 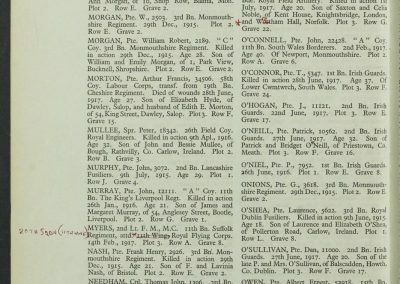 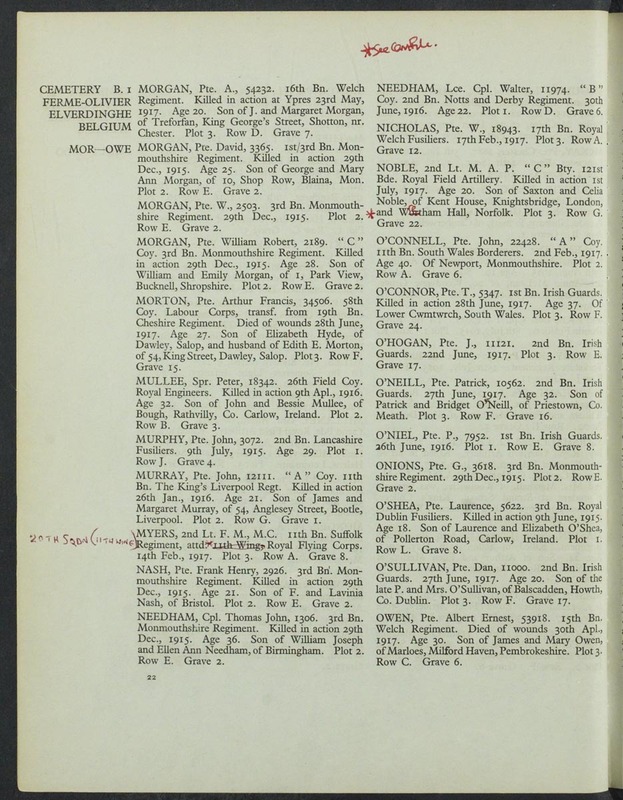 Marc Andrew Patrick Noble 2nd Lieutenant Royal Field Artillery, the son of Saxton and Celia Noble of Wretham Hall, was killed near Ypres on July 1st 1917 barely a month after his 20th birthday. 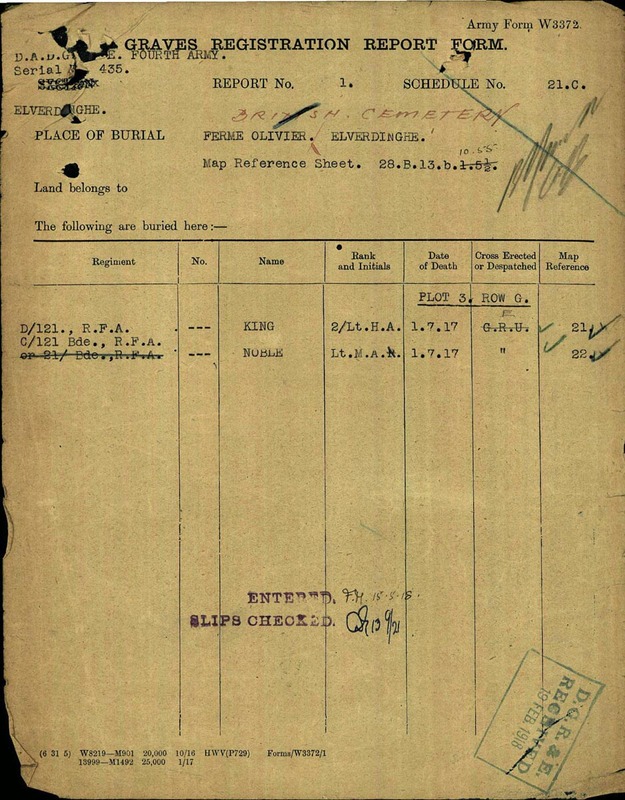 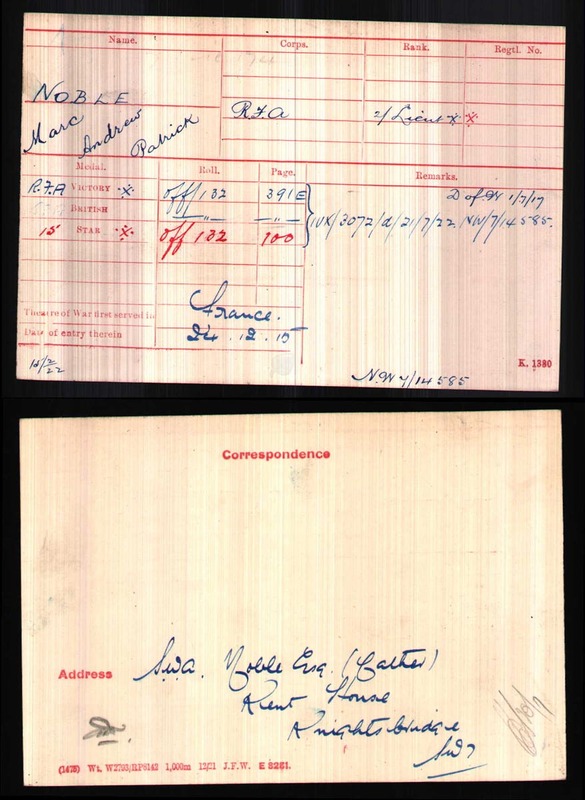 He is buried in the Ferme-Olivier Cemetery at Elverdinghe, north east of Ieper in Belgium. 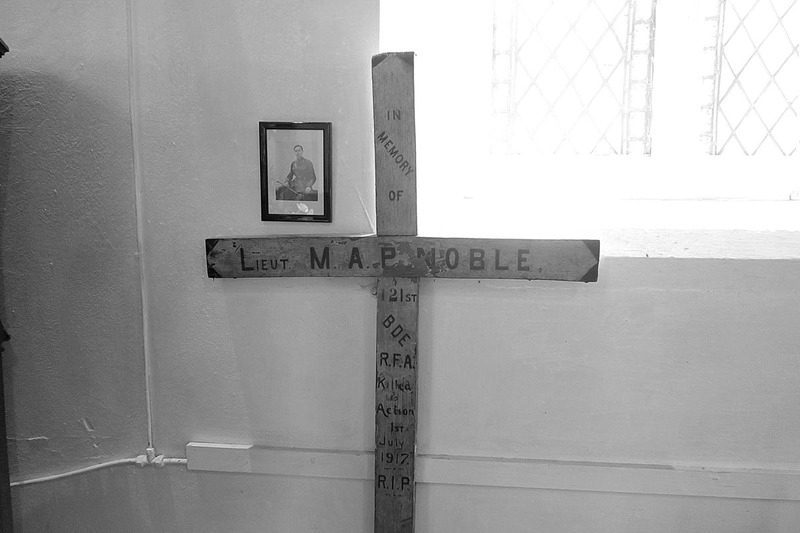 His battlefield cross is on the south wall of the church at the east end of the nave. 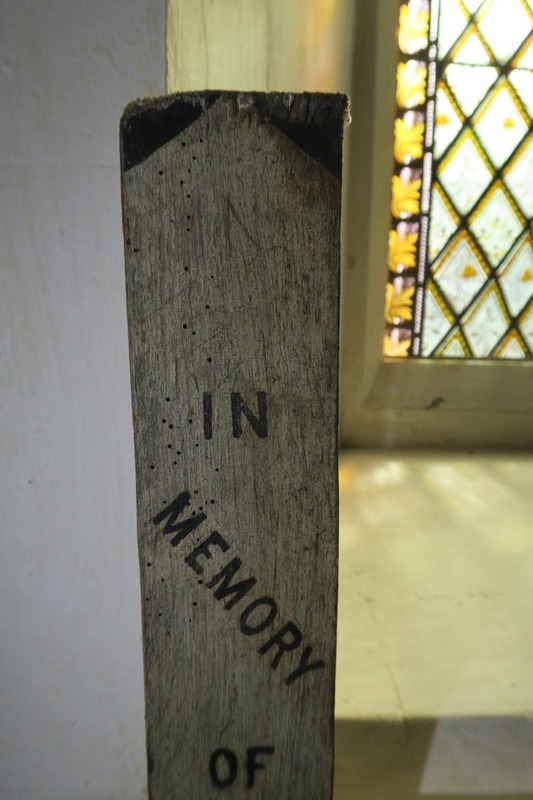 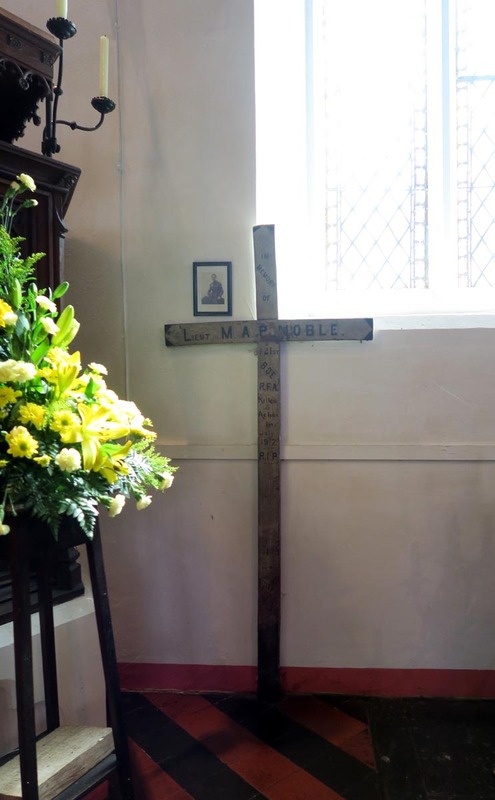 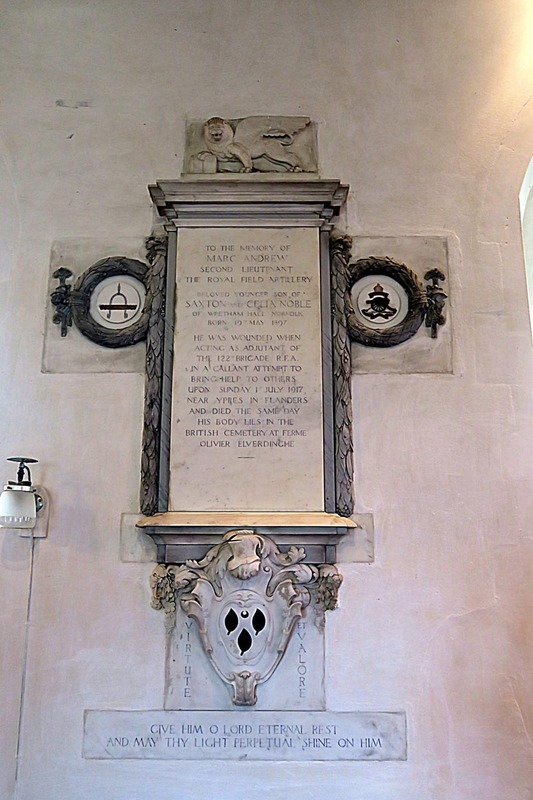 As well as his battlefield cross, there is also in the church a very elaborate marble memorial to him designed by Sir Edwin Lutyens who was a friend of the family and a frequent visitor to Wretham Hall. 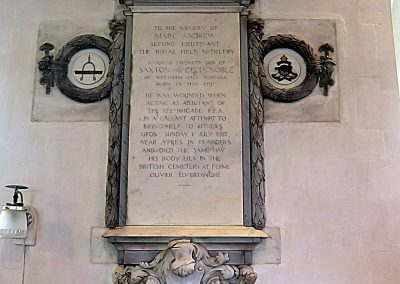 Lutyens was the architect of the Cenotaph in Whitehall and the Thiepval Memorial to the missing of the Somme where Hugh Travers Rowley is commemorated. 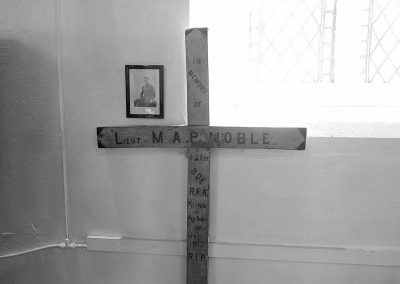 He was the son of the then Rector and was killed on the first day of the Somme July 1st 1916, a year to the day before Noble. 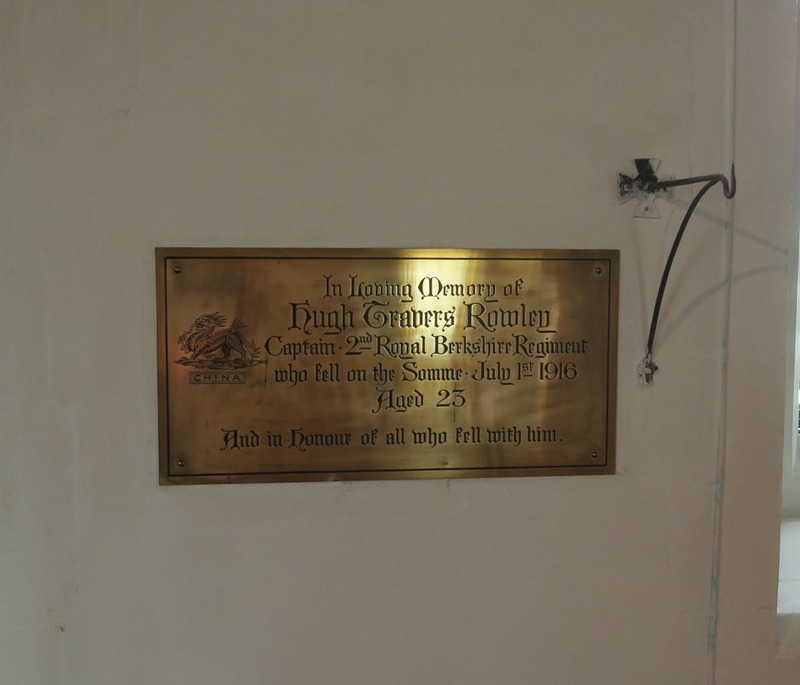 His brass memorial plate is in the chancel. 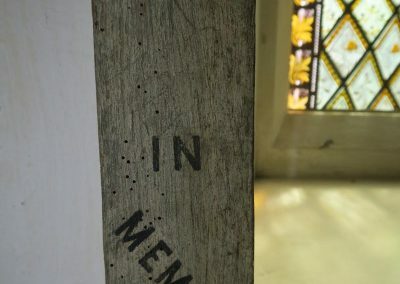 If you look closely at the top of the shaft of Noble’s cross, you can still see where the person who lettered the cross started the inscription in pencil and then changed his mind and moved the whole thing down a bit. 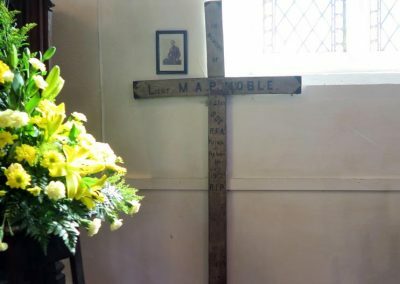 Thanks to churchwarden John Kitson for giving us a guided tour of the church and telling us something of the story of Noble and his family at Wretham Hall.